ArchiMate is an independent and open modeling language. When you want to communicate architecture across domains you can use the ArchiMate modeling language for this. 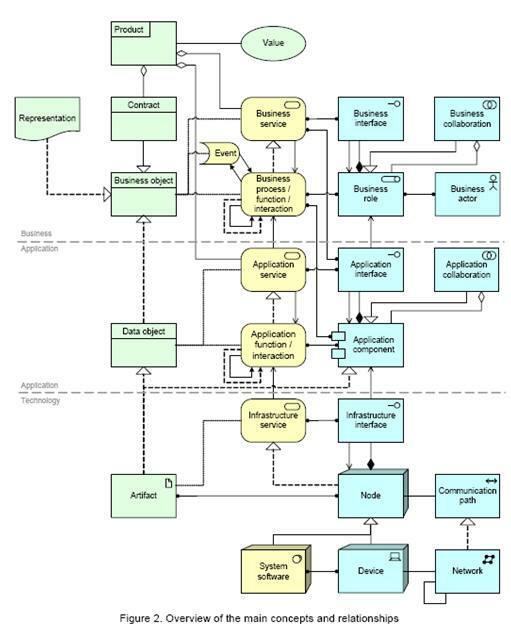 On this page you can read how you can use Dragon1, for the design, visualization, communication, management and realization of architecture diagrams with the ArchiMate modeling language. ArchiMate is an independent modeling language or standard in the field of enterprise architecture. There are different versions of ArchiMate: ArchiMate 1.0 and ArchiMate 2.0. But also ArchiMate 2.1. The definitions of terms between these versions vary, so be sure what version you are using in the organization. ArchiMate is not available for download, but it is offered as Content Package in Dragon1. On Dragon1 there are many ArchiMate examples you can use and Architecture Viewpoints you can edit to fit your situation. We have also have a Tutorial available on Dragon1. A step by step approach learning you how to create interactive effective ArchiMate Models. You can do ArchiMate Certification. For that we refer to the accredited training organization by The Open Group. Our resource center on Dragon1 is so extended, you can almost view it as ArchiMate Wiki. If you are using TOGAF in the organization you can integrate ArchiMate in it. By doing this you have a complete architectural approach. Here is an ArchiMate 2 Introduction. And here is how you can do ArchiMate modeling on Dragon1. The base of ArchiMate is a meta-model with only core elements that are related. In ArchiMate they chose not to incorporate all possible elements, but only to include what they thought is most essentials. This means ArchiMate is not a complete language that can be used to document your complete architecture in. For that, you will always need to extend it with elements you find important.